The U.S. General Services Administration is spending money on information technology. Lots of money! As the nation still reels from Russian election meddling and North Korean hacking scandals, Uncle Sam wants to modernize its IT infrastructure. Over the next 10 years, the GSA has invited 81 small businesses to participate in $15 billion of government spending. The GSA’s Small Business Contract Award is called “Alliant 2 Small Business.” By prequalifying small businesses able to participate, the agency hopes that streamline the contract award process and quickly get individual agencies the services and products they need. As whistleblower lawyers experienced in DBE fraud (“disadvantaged business enterprise”), we expect that some of the 81 businesses will be compromised. The temptation is simply too great. For whistleblowers who work in the IT industry, that means great whistleblower award opportunities. This is an opportunity to help keep the industry honest, eliminate fraud and earn a large cash award for those efforts. For the purpose of this post, we are going to use labels interchangeably. Recognize, however, that different agencies may have different labels for their minority business contracts and small business set asides programs. Some agencies call their Woman Owned Business programs WBEs and Minority Owned Business programs MBEs. The VA and Small Business Administration have their own designations and rules too. And some of these rules require the DBE to also be a small business. To keep this post becoming an alphabet soup of acronyms, we are simply going to use “DBE” to cover all Disadvantaged Business Enterprises and Small Business Program set asides despite individual agency rules. Why Do We Have Small Business Set Asides? Americans still hold on dearly to the notion that in our great nation everyone has an equal opportunity to get ahead and become successful. That is why Congress and most state legislatures protect these set aside programs. We want Hispanic owned / women owned / combat wounded disabled veteran / Native American / small business / “fill-in-the-blank” business owners to succeed. The general rule for DBEs is that the business must be owned and controlled by one or more socially and economically disadvantaged persons. As noted earlier, there are multiple different groups that qualify for Disadvantaged Business Enterprise status. 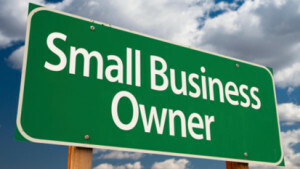 The Small Business set asides rules look to the size of the business. The Small Business Administration considers both the company’s revenues and number of employees. Confused? The details matter if you are bidding on a contract and hope to secure a state or federal government contract. For purposes of this post, we assume that the qualifying small and disadvantaged business enterprises know who qualifies and who probably doesn’t. So where is the fraud and why is this a problem? “taking over” a legitimate small business / DBE or having that business simply send all the work over to the larger or nonqualifying business. Example One. Company X finds a wounded vet and promises to pay him if he will pretend to be the business owner. In our case we found a multi-million Pennsylvania contracting business that located a vet, gave him business cards calling him the president and paid him to show up in the event of an audit. The only problem was the vet had no experience in construction and didn’t list the business profits on his tax return (because it wasn’t really his business). None of the employees had ever seen this man either. If you asked any of the workers, they would immediately tell you the real owner of the business. Why did Company X do this? They wanted to compete to get lucrative VA building contracts. Example Two. Company Y is a legitimate small business contractor. It doesn’t have the specialized equipment or people to bid on a federal interstate highway job, however. Company Z is much larger but is precluded from bidding on a portion of the work as the U.S. Highway Administration has set aside 10% of the work for small businesses. In our real-life example, Company Z made a deal with Company Y (the legit small business) and bid the highway job in Company Y’s name. They then got magnetic signs and simply put Company Y’s name on their trucks when on the job site. Ask any worker, however, and they would all tell you they worked for Company Z. Example Three. Jack and Jill (fictitious names for real people) are husband and wife. They have different last names and list different addresses. Together they own a very large construction business but have broken the business into separate businesses on paper. To an outsider, it looks like a qualified small business (owned by Jack) and a woman owned business (owned by Jill). Federal contracting rules say that because the two are husband and wife, the businesses are affiliated and have to be treated as one. They hid the fact they were married, however, so that both could qualify for contracts for which they were not qualified bidders. So why are we writing a post about the GSA’s Alliant 2 Small Business contract award? Because the government plans on spending $15 billion. $15,000,000,000.00. That is a lot of money and if history repeats itself, some of 81 small businesses on the award list will be compromised. It’s possible that some of these businesses don’t even belong on the list. In fact, several of the companies are already facing challenges before the Small Business Administration because of their size. Those companies are Atlas Technologies Inc. (North Charleston, SC), Product Data Integration Technologies, Inc. dba Modulant (also North Charleston, SC), SNAP Inc. (Chantilly VA), and The Informatics Applications Group, Inc. (Reston VA). Who are the companies that are on the approved contracting list? A complete list appears at the end of this post. Whether or not a company is on the Alliant 2 Small Business list, the federal government and states award tens of billions of dollars worth of contracts to thousands of vendors each year under small business set aside programs and DBE set asides. The entire idea of helping small and disadvantaged businesses becomes meaningless if big businesses can simply circumvent the rules. When that happens, the rich get richer while struggling small business owners get nothing. Insiders with information about fraudulent small business set asides and fraud involving disadvantaged business enterprise / minority owned business / woman owned businesses are eligible for substantial cash whistleblower awards. The federal False Claims Act pays whistleblowers with inside information up to 30% of whatever the government collects from wrongdoers. Million dollar + awards are common. Several states including California, New York, Illinois, Florida, Virginia, Delaware, District of Columbia, Georgia, Hawaii, Indiana, Iowa, Massachusetts, Minnesota, Montana, Nevada, New Jersey, New Mexico, North Carolina, Oklahoma, Rhode Island, Tennessee, and Vermont have their own False Claims Act that cover state and local government contracting. To qualify for an award, you need several things. First, you must be an original source of information. That means inside information and not something you found online or heard from a friend. Second, you must generally be the first to report. There are some exceptions but if two people report similar information, only the first to report gets the award. That means don’t delay! Finally, to qualify you must file a sealed complaint in court. Don’t let the rules or court filing scare you. We do this every day. Our clients have received over $100 million in awards. We can help you determine if you have a case. Assuming you have a case, we can investigate, file the necessary court paperwork and even prosecute the case if the government declines to get involved. Awards generally vary between 15% and 30% of whatever the government collects. If the government does not take over the case and we finish the prosecution, the awards are higher. Because the law has triple damages and huge penalties, the awards can be quite large.
) or by phone (414-704-6731) (Brian Mahany’s direct dial). All inquiries are kept confidential and protected by the attorney client privilege. *The Informatics Applications Group, Inc.